I wanted to make a quick, sweet snack the other day because one of my friends was coming over. Cookies aren't the first thing that comes to mind when I think “quick” (having to spoon them onto the cookie sheet, removing them from the cookie sheet when they’re done, spooning the next batch on…). But I made short work of it by using wax paper to line the cookie sheet and lift the cookies. I decided to make sugar cookies since they were a hit with my family the last time I made them (even my 2 ½ year old cousin said “Very good” and grabbed a couple with her to eat while she played). I used a traditional recipe and tweaked it because I didn't have eggs on hand. 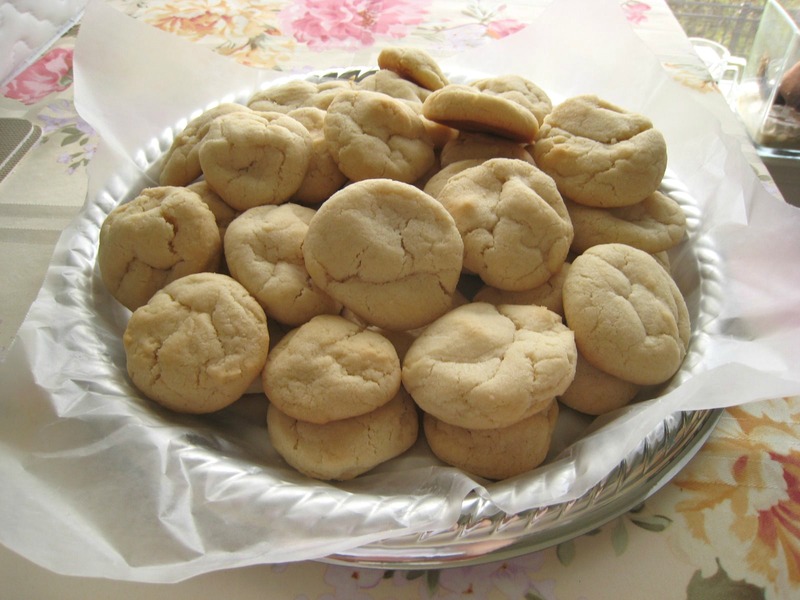 I love chocolate chip Italian butter cookies like these (pictured). My favorites are from Angelo’s in Bensonhurst, Brooklyn, NY. I used to work in an Italian bakery in my pre-accounting days, and couldn't get enough of them! What are your favorite cookies? Cream the butter and sugar in a bowl. Add the water and vanilla extract. Slowly add the baking soda, baking powder and flour. The dough will start to appear crumbly. Add a teaspoon or two of water so the dough will come together. (You can also stop the mixer, take the bowl out and get the dough into a ball with your hand). Drop teaspoonfuls of the dough onto an ungreased cookie sheet. Bake each batch for 10-12 min depending on your oven. The tops should be very light gold in color. Let the cookies sit on the cookie sheet for a minute because they will be too soft to handle. Then move them to a cooling rack. i haven't made them yet, but plan on it soon. Oooh I will check out both the blog and the recipe! Thanks! 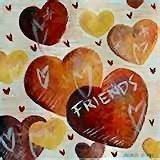 Does anyone have the Salty Oatmeal cookie recipe from this link to the pinkheals blog? The link is no longer valid. I've been trying to find this recipe. Would be very happy to have it! Hi there! Sorry! I just checked my recipes and couldn't find the recipe from Pink Heels' site. I posted your comment in case someone else has saved it. If I resurrect my blog, I will see if I can come up with a good salty oatmeal cookie. I have a craving for it now! Thanks for reading! Welcome to The Cooking Accountant's Blog! 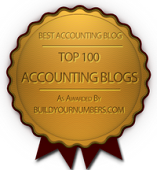 Named one of the Top 100 Accounting Blogs by BYN! Cookbooks on my Wish List! The Cooking Accountant is a participant in the Amazon Services LLC Associates Program, an affiliate advertising program designed to provide a means for sites to earn advertising fees by advertising and linking to amazon.com. My Kitchen Organization Series – We Need to Declutter First! © 2009-2018 The Cooking Accountant. All rights reserved. Powered by Blogger.